Bad Squiddo Games präsentieren ihre Neuheiten auf Facebook. It’s definitely not a conventional time to release new things, being a Friday night, but hey, why not! We’ll repost this when less people are out partying, but if you’re in and see this now – yay look you won a view of some lovely new minis! 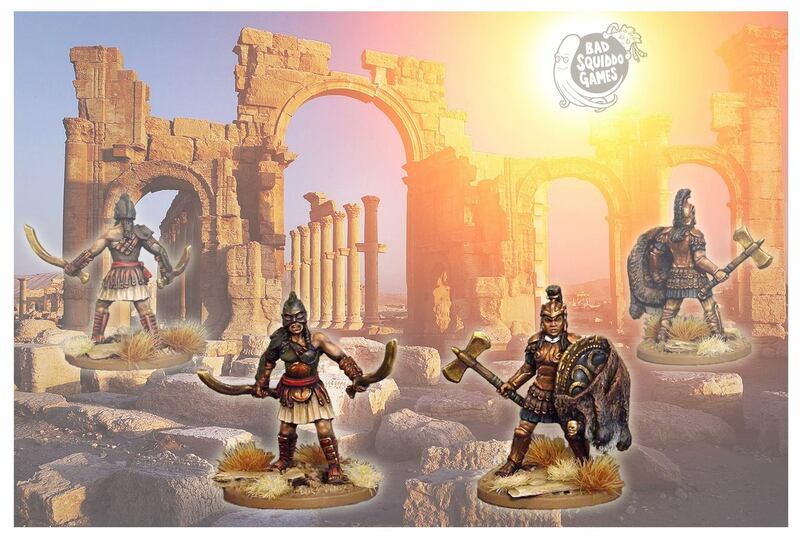 Sculpted by Shane Hoyle and shown painted by Paul Cubbin, these fantasy Amazons take some clear historical influence but fall very much into „rule of cool“. They’ll go really well with Rania, and Athena.